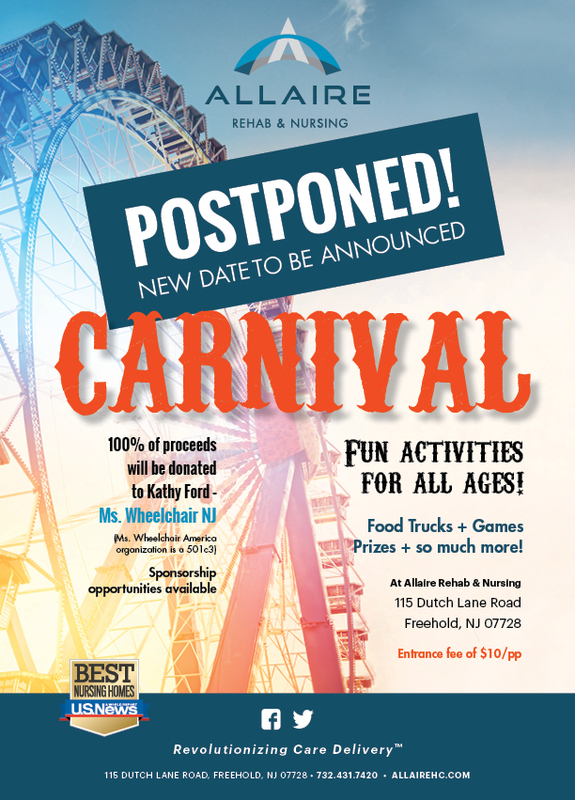 Please be aware that our Carnival is POSTPONED! To raise much needed funds for Ms. Wheelchair, NJ – Kathy Ford, Allaire is excited to host a Community Carnival on August 19th. All are invited to partake in the fun. There will be food trucks, game booths and prizes galore… with all proceeds going Kathy Ford. Sponsorship opportunities are available, for more info call Eryn at 732.241.2153.